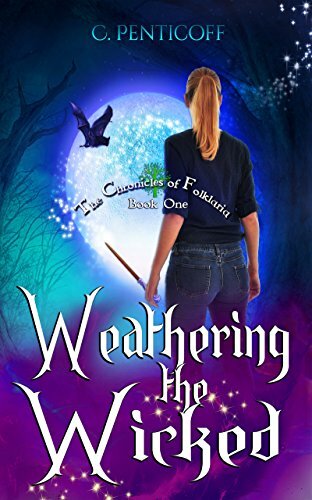 Presented with a captivating plot line, charming characters, and a world full of fantasies, C. Penticoff blends worlds of reality with a captivating realm of fantastical discoveries in Weathering the Wicked. Introducing Book One in the series, C. Penticoff demonstrates a clear focus and powerful imagination in her creation of fictional fantasy. With her sister missing and her total existence going up in flames, Jane attempts to find out what is going on, and what has happened to her sister. Penticoff captives her readers by blending the ideas of magic, wonder and prophecies. Right from the beginning readers are drawn into a fantastical world of discovery in the hopes that June finds her sister, January. Without giving too much away, the story is set in a spiritual land called Folklaria which blends together the good and the evil. The readers then join June on her journey in this magical land in search for her sister. With June’s hopes resting on a complete stranger, can she control her fears and uncertainty to find her sister and restore the peace? Magic, evil, suspense and mystery… are all words that I would use to describe the themes and narrative of this book. From evil wizards to witch doctors and fairies, C Penticoff really does her best to enter a world full of pure imagination. What makes this read a truly great one is how the book is presented to the reader. In the table of contents, we see that the book has been broken into lots of small chapters, each with a character’s name. This highlights what the chapter is going to be about, which allows the reader to anticipate what is to come. Overall, I would rate C. Penticoff’s Weathering the Wicked a 4 out of 5 stars. Whilst I appreciate a strong writing style, creative flair, and original thoughts, I found the concepts a little far-fetched. Of course, this is something you would usually expect from this genre, and would be appealing to a lover of fantasy books. 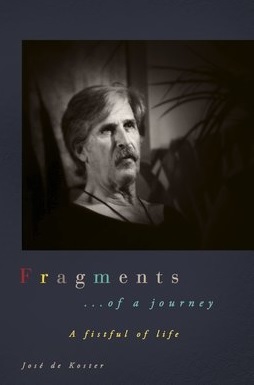 I applaud Penticoff in her creative writing and articulate use of words; and can honestly say that it offered a compelling read; something that I find often lacks in fantasy books. A triumphant and artistic piece of writing brought to you by C. Penticoff. I would highly recommend this book for anyone who takes an interest in artificial intelligence, compassion, and a longing for discovery and resolution. I look forward to reading Book 2 of this series, Weathering the Wicked. Posted on June 27, 2018, in Book Reviews, Four Stars and tagged alibris, author, author life, authors, barnes and noble, book, book club, book geek, book lover, bookaholic, bookbaby, bookblogger, bookbub, bookhaul, bookhub, bookish, bookreads, books of instagram, booksbooksbooks, bookshelf, bookstagram, bookstagramer, bookwitty, bookworks, bookworm, c penticoff, creative, ebook, evil, fairies, fairy, fantasy, fiction, good, goodreads, ilovebooks, imagination, indiebooks, kindle, kobo, literature, magic, nook, novel, paranormal, publishing, read, reader, reading, shelfari, smashwords, story, supernatural, teen, Weathering the Wicked, wizard, writer, writer community, writing, YA, young adult. Bookmark the permalink. 1 Comment.